It’s Lovely in Any Pleasing Color Combination! 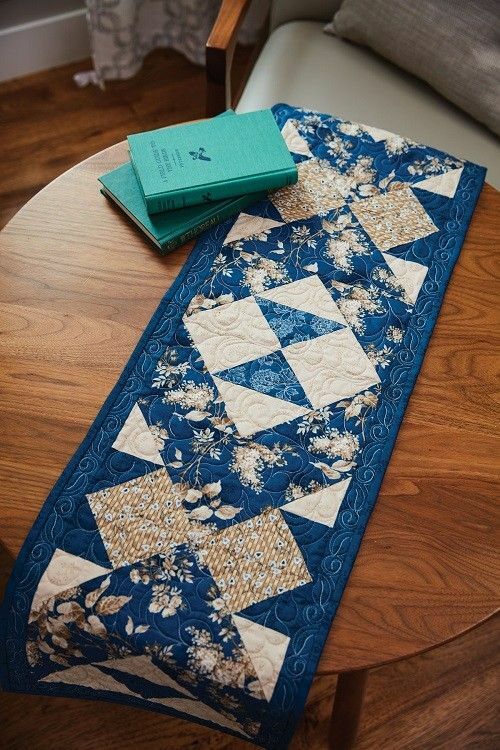 A beautiful blue and tan floral print inspired this lovely table runner. Coordinating prints set it off and create an interesting overall design. The runner will be lovely in many color combinations. Start with a larger-scale print you love and build from there. Seasonal prints will be wonderful, too, but go with what you like best. It’s also easy to put together. You can have this runner done in just a few hours. 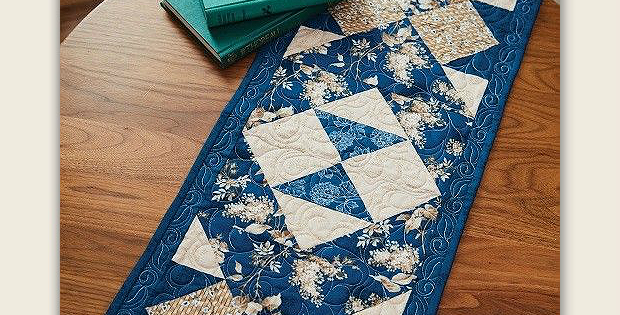 The finished runner, designed by Lisa Beeson, is 12″ x 42″. Click here for the “Dinner? or Supper?” table runner pattern.